Introducing the Klatch of 2017. 2012 NE Alberta St., 503-208-3475, proudmarycoffee.com. 7 am-4 pm Monday-Friday, 8 am-4 pm Saturday-Sunday. The flat white might be the perfect combination of coffee and milk. It's essentially a latte without the mass of foam, allowing the nuttiness of the espresso to shine while the milk provides a light and creamy counterpoint. And yet, the Aussie innovation is not something Portland coffee shops do well. Before you form an opinion, head over to Proud Mary for the flat white. The shop is the first American offshoot of a Melbourne-based roaster known for outbidding other comers for the world's best beans, for its friendly service and for super-authentic avocado toast from the continent that gave the world avocado toast. The Aussie seated next to us at this huge new sit-down cafe on Alberta, which is decorated with semi-functional speakers and long marble slabs, noted that Melbourne has some striking similarities to Portland—though this was the only flat white in town he liked. The Instagram-friendly brunch entrees, including that excellent toast with mashed-up avocado, come loaded with colorful, gnarled herbs. 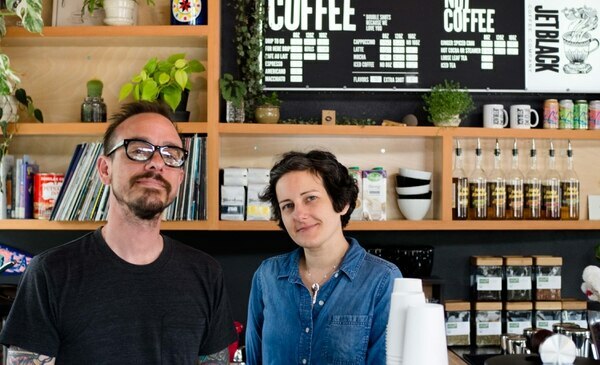 The service is warm compared to that at most Portland cafes—something owner Nolan Hirte got blowback for saying, and which he's since repeated. As we say in this country, it ain't tricking if you got it. MARTIN CIZMAR. 3640 SE Belmont St., foxycoffeeco.com. 6 am-5 pm Monday-Friday, 7 am-4 pm Saturday-Sunday. Foxes craftily find small game and build small dens, and so does Foxy's Josh Bonner. One of the smallest of Portland's nano-roasteries, Belmont's Foxy also sources beans from some of the smallest farms in Africa—little family plots once considered utterly noncommercial. One of these is an extraordinary Kercha Dubisa roast from a little piece of family land in Ethiopia, a nano-batch procured through Portland's Catalyst Coffee Consulting: It's one of the few coffees I've ever tasted with honest-to-God watermelon notes, lightly and pleasantly acidic with a warm, round finish. 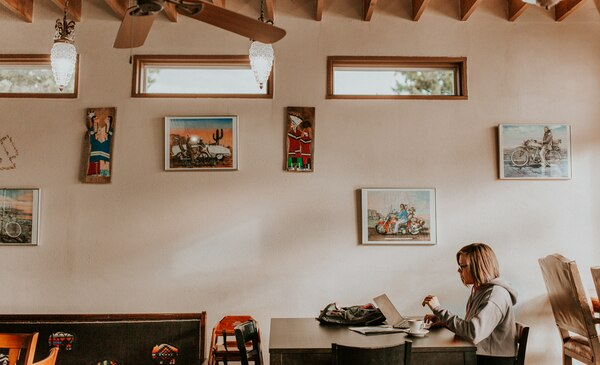 The art on Foxy's gallery-white walls comes from friends, the chandeliers and mismatched stools and chairs are painstakingly refurbished "on an IKEA as-is budget," and the crisp butter-bar of the Sweet Nothings golden cookie comes from a grandmother's recipe. The cinnamon toast, meanwhile, comes from a recipe all of America knows by heart. 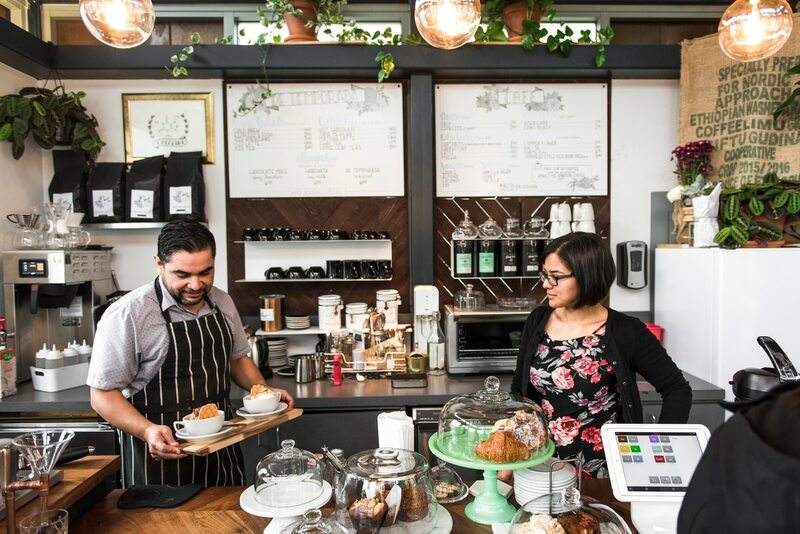 For years, Portland cafes have become slicker and more designed. Foxy is a reminder of the improvised excellence those brand-happy shops are trying to replicate. MATTHEW KORFHAGE. 1816 SW River Drive, kioskopdx.tumblr.com. 7 am-4 pm daily. In a world of avocado toast, Kiosko serves a wonderful ahogado. 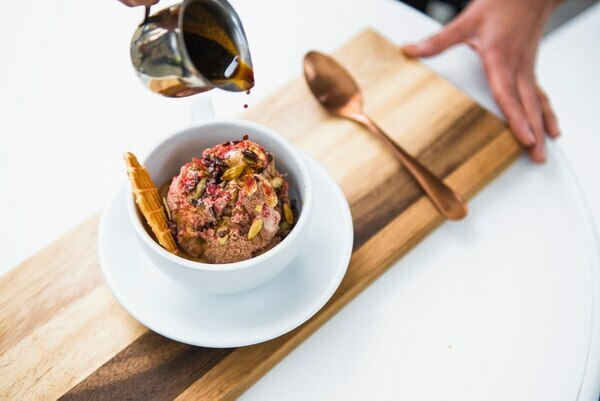 In their surf shack-sized South Waterfront shop with windows on four sides and a counter filled with pastel-colored flowers, co-owners Angel Medina and Lucy Alvarez serve a beautiful Spanish-language take on the Italian affogato, ice cream "drowned" in espresso. Chocolate mole and cajeta ahogados are also available, but we went with the horchata ice cream, which came topped with toasted, glazed almonds. The result is essentially an ice cream sundae for grown-ups, perfectly delicate and decadent. The coffee comes from Medina and Alvarez's own Smalltime Roasters coffees sourced in Africa and Mexico and brewed using the community roaster at Aspect Coffee Collective. 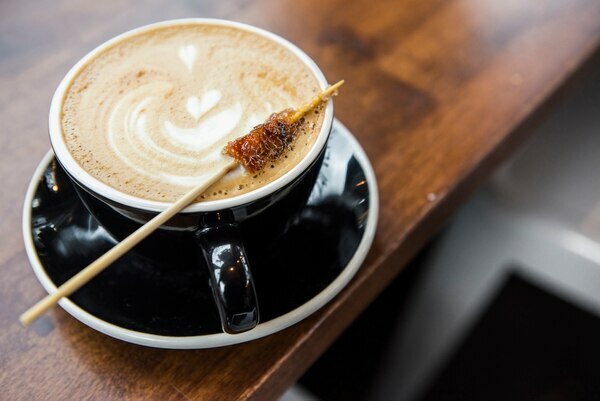 From a menu written primarily in Spanish, you can also order such specialties as a cortadito (espresso and milk) infused with Kiosko's cinnamon-and-piloncillo café de olla flavor. It's the kind of place that may serve your coffee topped with a maple-bacon skewer, or maybe with shaved cinnamon and sprig of mint, painstakingly brewed using the copper flower or Kalita pour over. But seriously: Get that ahogado. SOPHIA JUNE. 3875 SW Bond St., 971-339-9002, oraclecoffee.com. 7 am-7 pm daily. The Southwest Waterfront's Oracle is like a coffee emissary from the Midwest. It was founded by Andy Hurley, the straight-edge, vegan-anarchist drummer of Fall Out Boy. 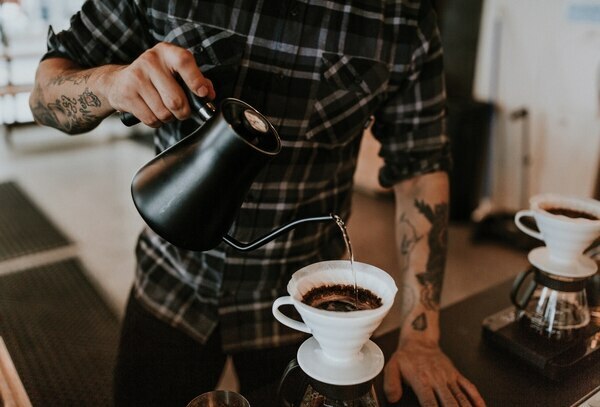 And rather than revel in local wares, Hurley is spreading the love to flyover states in his roaster selection, with recent offerings from St. Louis' Blueprint and Colorado's Sweet Bloom, making Oracle well worth the streetcar ride. 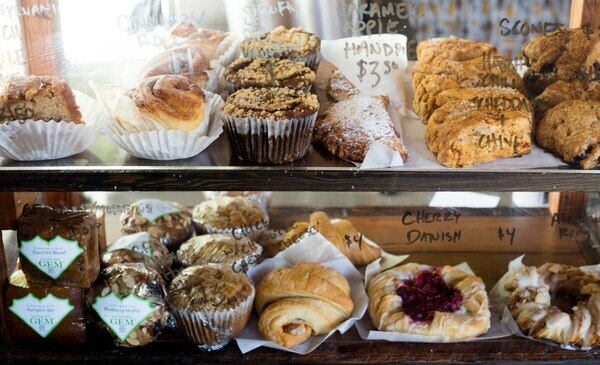 Alongside a spread of Shoofly pastries are vegan bagels from Bowery and cookies from Grand Rapids' Bit Baking Co. The space is handsome and unobtrusive, with a handful of filament bulbs dangling from the ceiling's bare wood and black metal. You wouldn't know much about ownership's day job from the looks and, more importantly, sounds of the shop, which is a management decision that deserves applause. PETE COTTELL. 2393 NE Fremont St., Suite B, 503-841-6042, guildercafe.com. 7 am-7 pm daily. A coffee shop claiming Scandinavian influence is no big surprise in 2017 Portland—but Guilder's Mike and Caryn Nelson are really going for it. At their new Fremont Street cafe, which opened this spring, they're pairing the light and airy aesthetics of their soaring cafe space with bright, light-roasted coffee and healthful hygge food. Mike Nelson's résumé includes time at Stumptown and Blue Bottle, and Guilder serves the Nelsons' own roasting brand, Junior's, in a standard battery of espresso and filter coffee options. But there's also an AeroPress brewed to order—and that's what you should get. The ability to order an AeroPress across the counter is rare here in Portland, and in the right hands it is one of the tastiest ways to prepare coffee. With spacious upstairs seating, this cafe is ideal for camping or work meetings: I've done both. An AeroPress of whatever they recommend and some savory toast—hey, that actually is pretty Scandinavian. JORDAN MICHELMAN. 3340 SE Hawthorne Blvd., 971-373-8192. 8 am-4:30 pm Monday-Friday, 8:30 am-5 pm Saturday-Sunday. Lord knows Portland is near critical mass in both vape shops and cafes, and yet Peaks Coffee is all the more charming for converting the former into the latter. 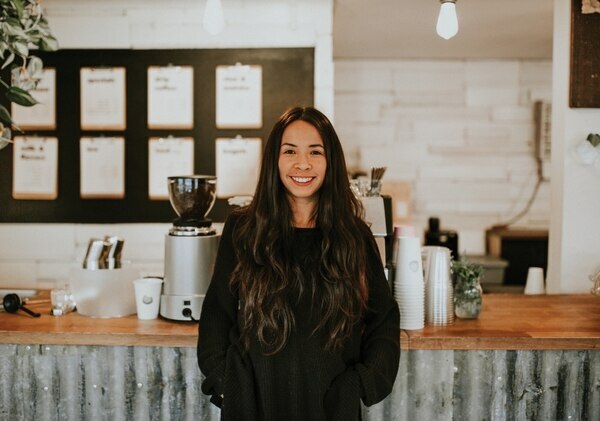 Loosely built on the slogan "For coffee and conversation" emblazoned across its wall, Tight Tacos co-owners Mark and Annamarie Cosio's twee little Hawthorne shop offers a pair of window-side countertops perfect for catching up with that best friend you spend only 15 minutes a year with. 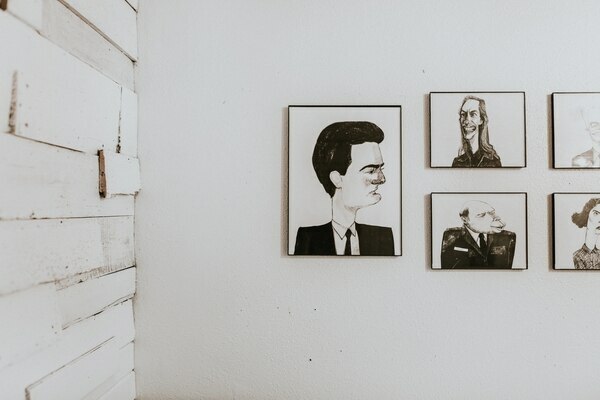 The full complement of Twin Peaks caricatures, from Laura Palmer to the Log Lady, provides enough of a conversation piece it maybe won't even be awkward. Sip a cortado made with an Ethiopian bean from Foxy Coffee five blocks away and nosh on a maple-glazed doughnut from An Xuyen Bakery. There's Wi-Fi, but the lack of tables big enough to fit a laptop indicates they would rather you enjoy one of their excellent Nutella lattes, admire the carefully placed foliage, then be on your way. PETE COTTELL. 11150 NE Weidler St., 503-889-0739, jetblackcoffeecompany.com. 6 am-6 pm Monday-Friday, 8 am-6 pm Saturday-Sunday. Vegan businesses often travel in symbiotic clusters, which explains the near-instantaneous success of Jet Black Coffee. When the Buckman vegan market Food Fight announced plans to expand east of I-205, the remora-like attachment of a coffee spot seemed a foregone conclusion. Overflowing with unfinished wood, vibrant light and enough potted plants to make Portland Nursery blush, Jet Black oozes a casual cool you're more likely to find in Austin, Texas, than Gateway. Drinks are crafted with Pacific Foods alternative milks (soy, hemp or almond) and Dear You Blend—a Water Avenue custom roast named after the Jawbreaker album that contains Jet Black's namesake song. Below the spacious patio is Vegan Gorditos, an animal-free outpost of the popular local taco chain Los Gorditos, which opens for breakfast and serves some of the best tofu scrambles and soy curl burritos in town. 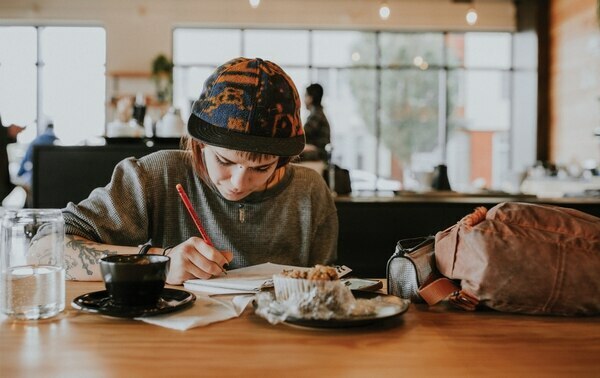 Throw in a small list of bottled beers, wine, and pastries from locals like Sweet Pea and Shoofly, and you've got a solid option for a coffice with a conscience. PETE COTTELL. 2355 NW Vaughn St., 503-222-2181, groundworkcoffee.com. 6 am-6 pm Monday-Friday, 8 am-5 pm Saturday, 8 am-2 pm Sunday. "That's the best thing in Portland coffee right now," one of WW's news reporters said when she saw me with a to-go cup from Groundwork Coffee. She wasn't talking about the coffee, although she likes that, too: She was talking about the cup. Groundwork's to-go cups are not only double-insulated by default, but the lids come with a basin that catches coffee and allows it to cool. New ideas are apparently a bonus of cross-pollination: Groundwork is a 26-year-old coffee company from Los Angeles, and when it rolled in to open three cafes in Portland this year, it came in with its own ideas. Its vast, spare, high-ceilinged Slabtown flagship roastery—in the former Kobos Coffee space once home to the cluttered aisles of a coffee equipment store—also serves bulk-bin coffee straight from the roaster. 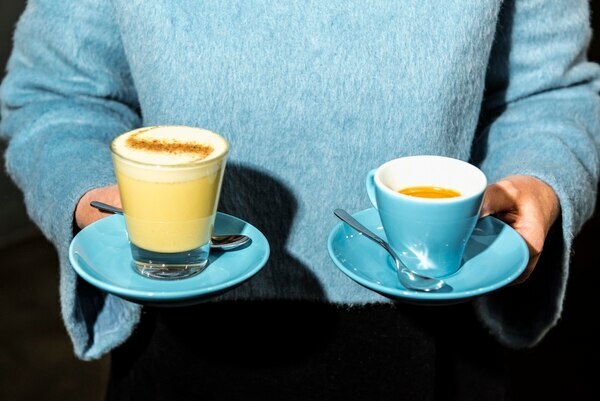 It's a great idea, one also planned at Nossa Familia's forthcoming cafes: You can wander out with small, super-fresh servings of craft-roasted beans for single-cup roasts. Still, some things have been localized at the capacious roastery, including a really nice vegan apple-cider muffin from Shoofly and a round, earthy, unique-to-Portland Slabtown medium roast. MATTHEW KORFHAGE. 1015 SE Main St., 503-894-8134, coavacoffee.com. 8 am-2 pm Monday-Saturday, public cuppings at 1 pm. Coava's new Southeast Portland Brew Bar is not a place to hang. It's a place to look deep inside the Coava machine, and slurp from cups not often available to the public. This is the first new Coava space to match the cavernous vibe of the brand's original cafe and roastworks a few blocks down Main Street. There's no espresso service at the Brew Bar. 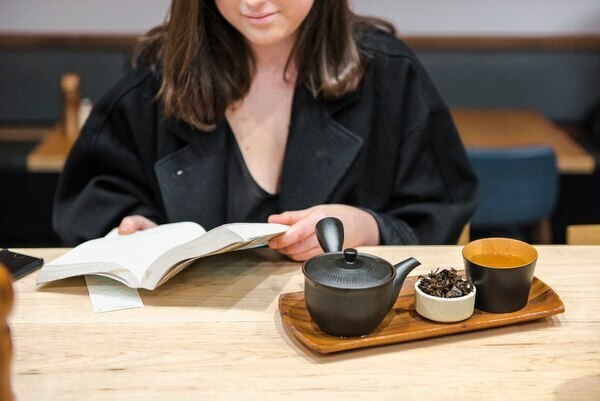 Instead, there's cold brew, filter coffee handmade with Coava's own metal cone filter, and iced tea sourced from Chicago's increasingly popular Spirit Tea. But at its heart, this is a working coffee factory, including multiple roasters, a massive destoner, and all of Coava's coffee-packing equipment, which both provides a beautiful glimpse of the modern coffee factory and often makes the space very loud. Staff have ear plugs at the ready and you might consider doing so as well. The space also sprawls to include brew labs, office desk space, and an upstairs mezzanine. At the heart of the Portland Coffee Packing District—Elevator Coffee, Stumptown's Cold Brew brewery, Heart's production facility, the Buckman Coffee Factory, Roseline Coffee, Good Coffee, Water Avenue Coffee's roastworks and Portland Coffee Roasting all lie within a few blocks—the new Brew Bar serves as a suitable emblem for what Portland coffee is becoming. But if you just want to sit and drink coffee, there's a nice new Coava having its grand opening near the art museum this week. JORDAN MICHELMAN. 3941 NE Cully Blvd., 503-288-3941, bisoncoffeehouse.com. 6 am-5 pm Monday-Friday, 8 am-5 pm Saturday-Sunday. 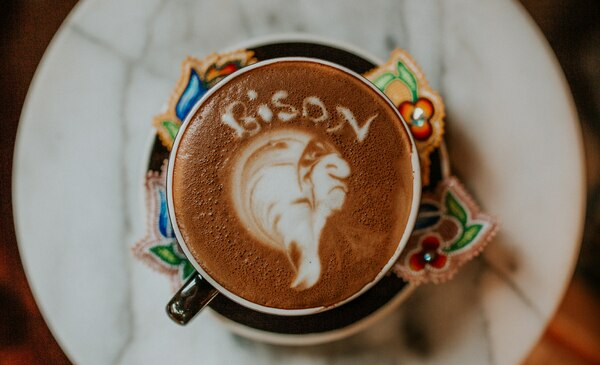 The seed of Bison Coffeehouse was planted eight years ago, when Loretta Guzman was dying of cancer. Guzman dreamed of a large bison coming closer until they were face to face, staring into each other's eyes. Soon after, her cancer went into remission. 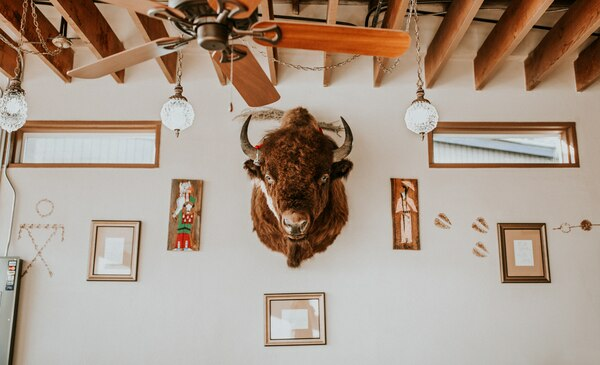 Now, everyone who enters her tiny, warm cafe in a 90-year-old building in Cully also comes face to face with the mammoth, woolly face of a bison, which for centuries was the lifeblood of her Shoshone Bannock tribe. 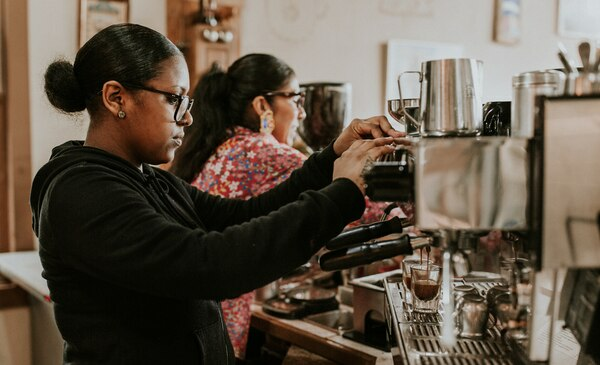 At her cafe, Guzman pulls light-roasted Heart espresso or drip coffee, but also medium and dark roasts of the same Native-roasted Tribal Grounds coffee served at the Smithsonian in Washington, D.C. In a touch perhaps unique in town, the cafe runs rooibus tea through its espresso maker to deliver, it swears, "5x the anti-oxidants." Every treat here is baked in-house, including a heavenly ricotta cake covered in sugar we heartily recommend; the décor is equally home-baked, including an old sideboard Guzman's mother stenciled with an image of a bison, a bench her sisters upholstered with Pendleton blankets, and tribal carvings and pictures of Guzman's forebears. And the cafe is still evolving, with a gift from Pendleton Woolen Mills of a bison-patterned blanket now on display on the shop's walls. We were slow to catch on to Bison—the cafe celebrates its third year this week after a quiet opening—but glad to welcome it belatedly to the klatch of 2017. MATTHEW KORFHAGE.